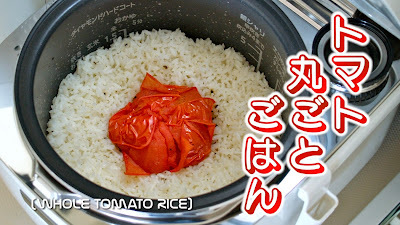 Recently, this "Whole Tomato Rice" is talked about on the Internet and TV in Japan, so I tried it out!!! 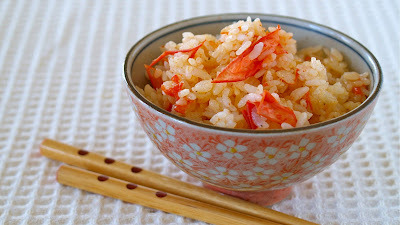 People say it is like a pilaf. I agree with that!!! 3. Remove 6 tbsp. of water from the pot (for the water amount of tomato), then add salt, pepper, and olive oil, and mix well. 4. Remove the tomato stem (and the bottom if you want) and place it in the pot. It is very good as is, but you can also top with cheese and/or basil to add more flavor!